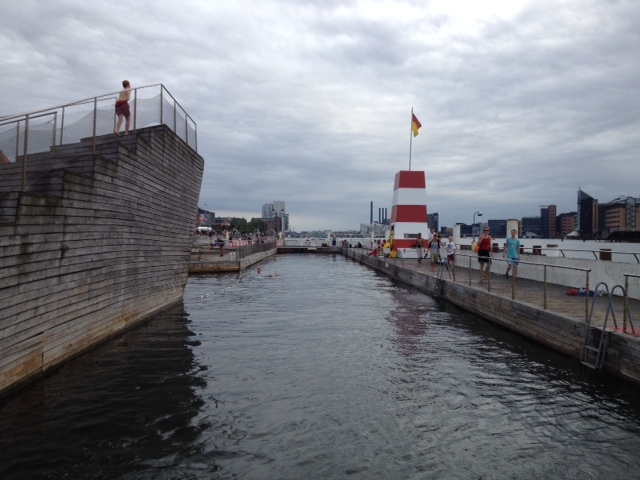 If your visiting Copenhagen this summer or live here the Copenhagen Jazz festival has so much to offer. Performers from our the world come together during the summer (July 3 – 13, 2015) to bring you smooth jazz and trumpet tooting music. We took a parents date night out and chose to go to Jazz by the Sea, a concert series during Copenhagen Jazz Festival. 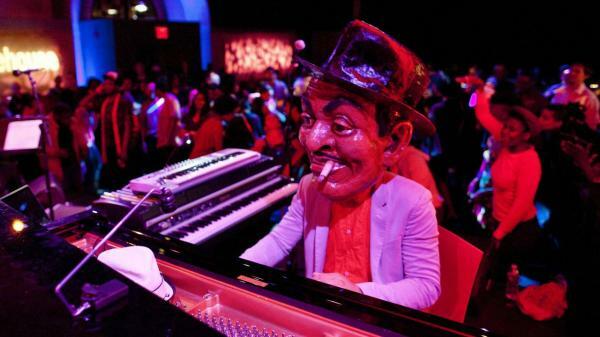 We sat right on the water and enjoyed the sounds of Jason Moran doing a tribute to Fats Waller (1904-1943). We even participated in a soul train line. It was a fun night. 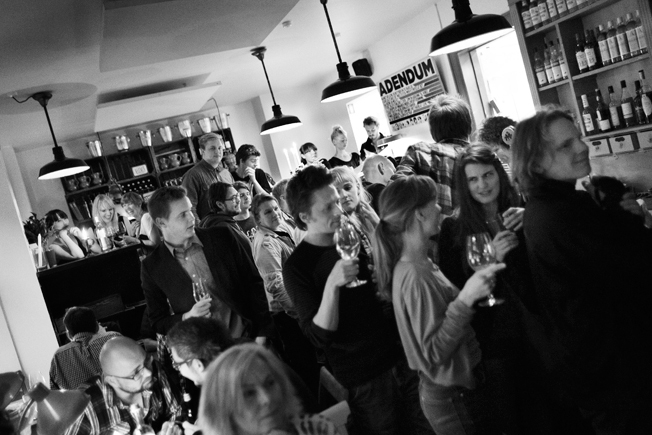 Near by the Islands Brygge we found a cozy wine bar called Adendum. The entrepreneur Kenn Husted opened this wine bar in July 2010. It offers outdoor seating if the weather is nice and blanket and umbrellas even if it isn’t and you don’t care. They self describe the place as a wine bar with food and you can see from the menu that is true. The wine menu is 30 pages long broken up into type of wine and country of origin. The food menu is 2 small thin pages clipped to a board. But sometimes restaurants don’t have to offer a wide variety when they have just the right items. Adendum also offers tapas and a few special dinners. We ordered the charcuterie plate, ost ( cheese) plate, salted almonds, a bottle of Italian Chianti and we were set. The atmosphere at Adendum is charming and authentic. With wooden crates serving as a wine bookcase and vintage 50’s office table lamps, the wine bar is very inviting. It is a very popular wine bar, but you can still find a quiet corner. It was busy but the servicers were nice. The cheeses were sharp and tangy and perfectly melted in your mouth in dancing melangery with the wine and prosciutto. The owners also own Pate Pate, one of my favorites to sit and grab a coffee and lunch in the winter. They have candles lit and warm heaters near the windows. 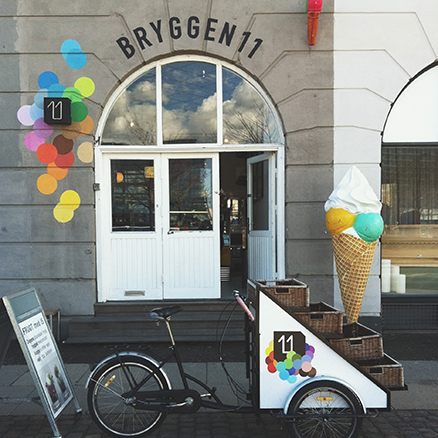 A little tipsy, we wandered to the ice cream place a few blocks away, Bryggen 11 (read more about this ice cream shop in our city guide). The scoops were a bit small compared to other places in Copenhagen but there was a lot of fun combinations that were definitely unique and delicious. They home make their own ice cream…I opted for chocolate and vanilla after tasting white chocolate and poppy seed and Mango with lime and mint. The girl working at the place said, “Well, I wasn’t expecting those choices.” Hmm, I guess I didn’t need thrills in my ice cream. I was on a date night after all and everything was perfect even if it wasn’t. Luckily, it was. We arrived at the concert and it started to rain a little. We had an umbrella and well… we were on a date night so…we were happy. The bandstand had been placed just next to the water. A few boats arrived and stayed to watch the concert through out the night. The jazz was jazz with all of the smoothness and chaos that comes with it. The crowd was a mix between young swing dancers in red lipstick and retro dresses and empty nesters out for an evening. The audience came together in a soul line at the front of the stage where even Jason Moran and his band participated. I went down the line three times doing my best Footloose moves. Were my moves appropriate? Who cares, I was on a date night. 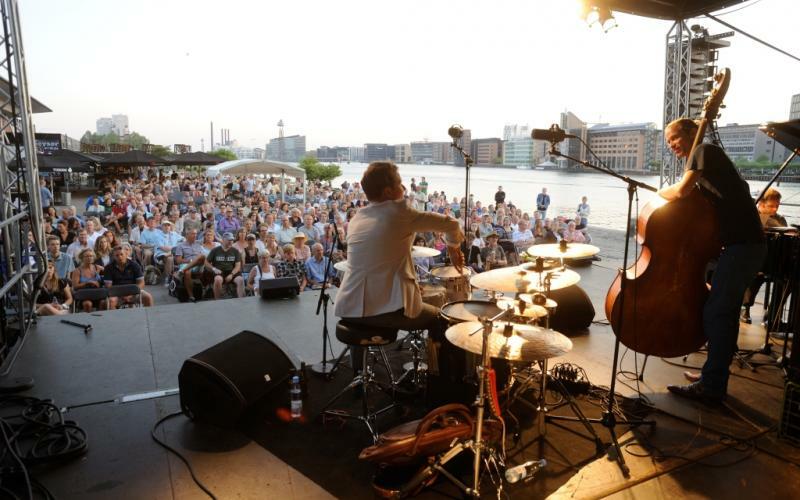 The Copenhagen Jazz festival continues through July 13 with concerts and shows at venues through out the city. If you want to experience Jazz by the Sea, there are shows every night. They also offer a grill buffet if you want to come early and eat. Click here for a full schedule and line up of the events for Copenhagen Jazz Festival 2015. And please, take a date night out to enjoy summer, your kids won’t mind too much if you promise them a day swimming in the harbor tomorrow. Yes, I do condone bribery. After all a date night is golden.